Throughout the 20th and in the beginning of the 21st century, many artists take up a double role as both art practitioner and writer. In recent years, scholars and the general public have become increasingly interested in artists' writings. A growing number of collected writings by many major 20th and 21st century artists is now being published in carefully edited publications. What is much less present, however, is a focus on how to understand these artists' writings. That is the aim of the present volume, which contains contributions by artists, academics and curators who undertake a reflection on artists' writings from the 20th and the 21st centuries. 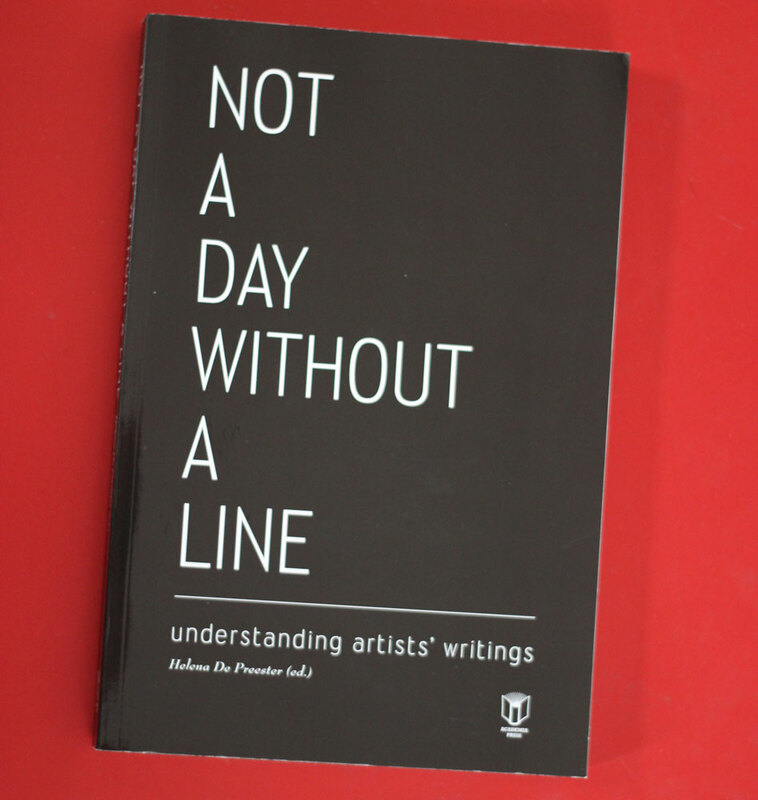 Emphasizing the visual arts, including performance art, Not a day Without a Line focuses on artists' writings that do not resemble the more explanatory kinds of writings by art critics, art philosophers or art historians, but which challenge our understanding of them as a text or an instance of reflection. The intricate relations between writing and art practice, between text and image, and between writing and the life of the artist, are important factors in what could be called the artist's methodological promiscuity in writing.